I have been really loving midi rings lately. I don’t know what it is, the daintiness of them, the way they hug your upper finger like a shiny, pretty extension of your knuckle, or the fact they’re just unusual and not the norm. I brought this stunning little ring (well, technically it is two rings stacked together) from just £2 from River Island. Yup, that’s it, £2! Can you believe it? I certainly can’t. That’s cheaper than my lunch. If you want to get your midi-ringless fingers on this beaut you can find it in gold here and silver here. Get them while you can! I can’t believe they haven’t sold out yet! 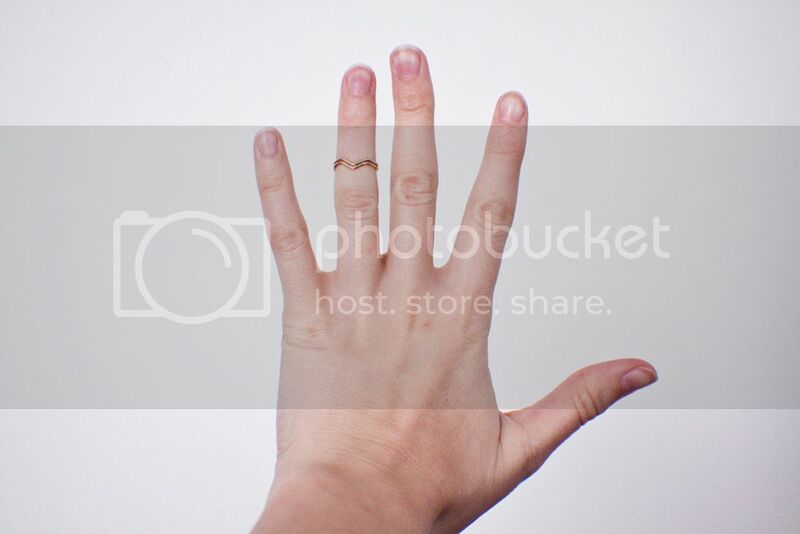 If you don’t know what a midi ring is then quite simply, its a ring that sits nicely in-between your top two knuckles. They’re also conveniently called “knuckle rings”, but I way prefer the term “midi”. Midi rings can be nice and versatile too. For instance I’ve found my midi rings also fit on my little finger nicely, and extra large midi rings fit perfectly on my ring finger. But why choose an over sized midi ring over an ordinary ring? 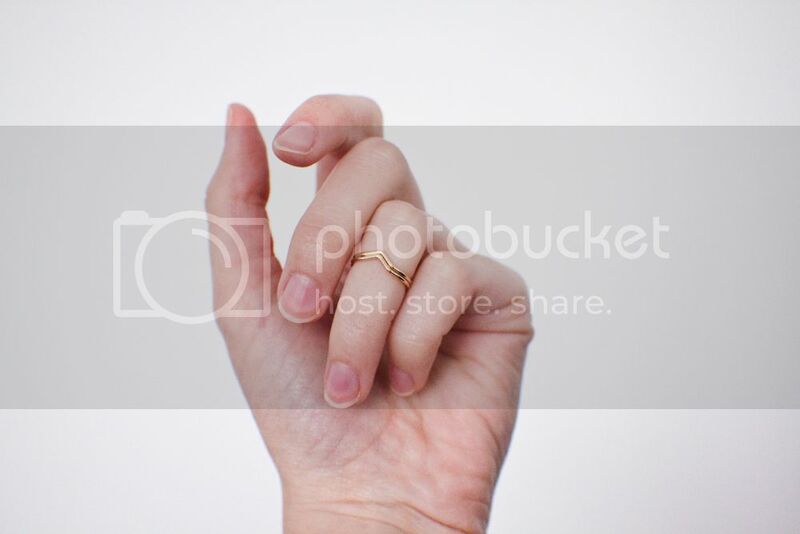 Well midi rings seem to be designed all that more petite and dainty compared to your standard index finger rings. I guess this is because they’re half way up your finger so you don’t want them to get in the way of everyday activities such as typing, texting, stroking cats and scoffing cupcakes. Check back next week when I’ll be looking into where to buy midi rings, from independent designers and high street stores. They look so bad on my fingers. But yours looks pretty ! These are so pretty! Might just have to get them..